To a good quality exterior architectural Eagle with full spread wings standing on cast hemisphere with old repairs now in old black painted surface.The eagle was cast in sections and assembled and retains the rich detail. Reported to have been mountedt on a Customs House in Maine and in a private collection since. 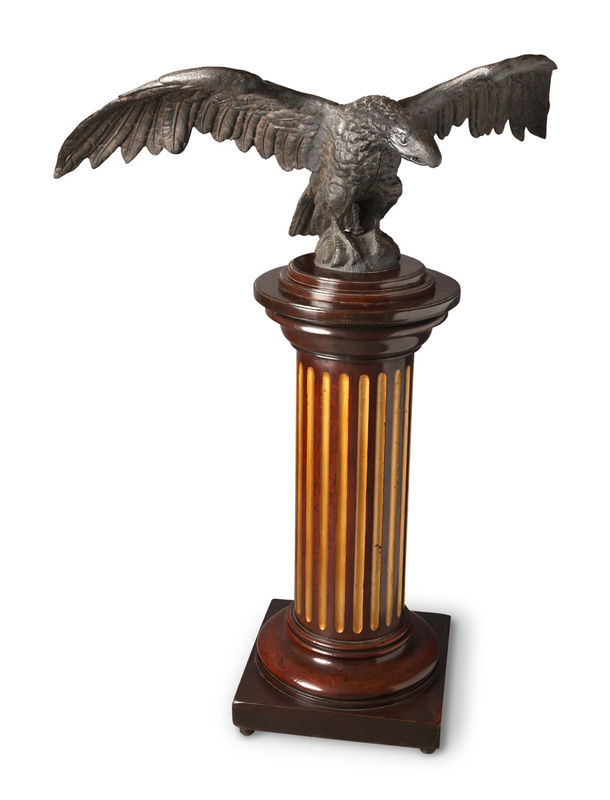 The eagle is mounted on a newer custon mahogany pedestal with gold painted fluting. A great Cast Iron Garden item.